Meet in West Yellowstone for the meeting venues and weddings facilities. 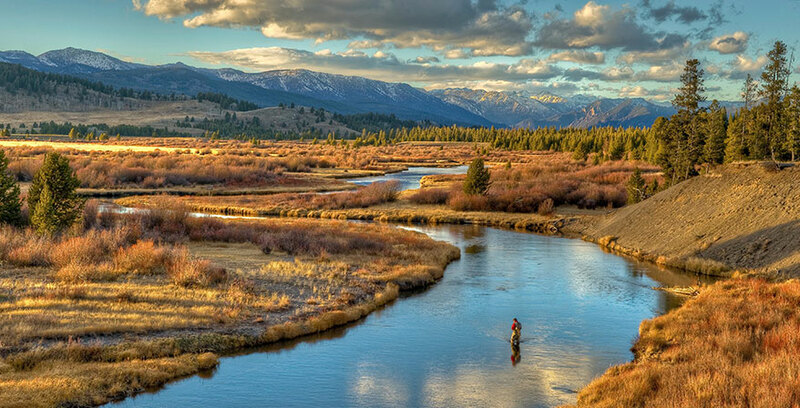 Sitting at the gateway to the world’s first national park and surrounded by three national forests, West Yellowstone turns ordinary meetings into extraordinary experiences. With the perfect blend of modern meeting facilities and outdoor adventure, your group will enjoy an ideal balance between work and play. 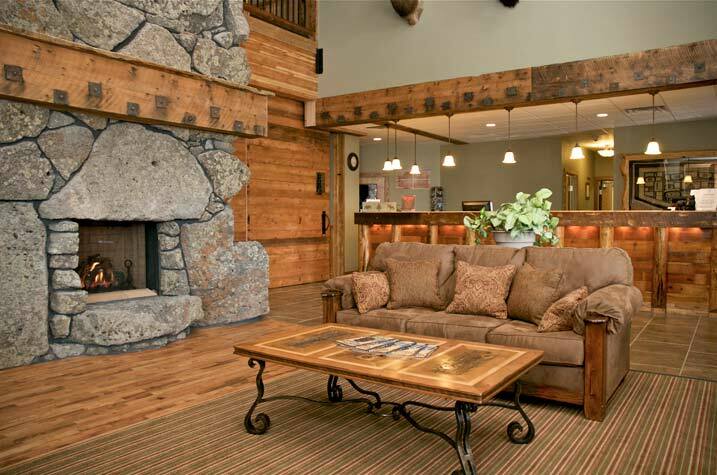 meeting facilities and outdoor adventure, your group will enjoy an ideal balance between work and play. Looking for a truly exceptional location for your next gathering? 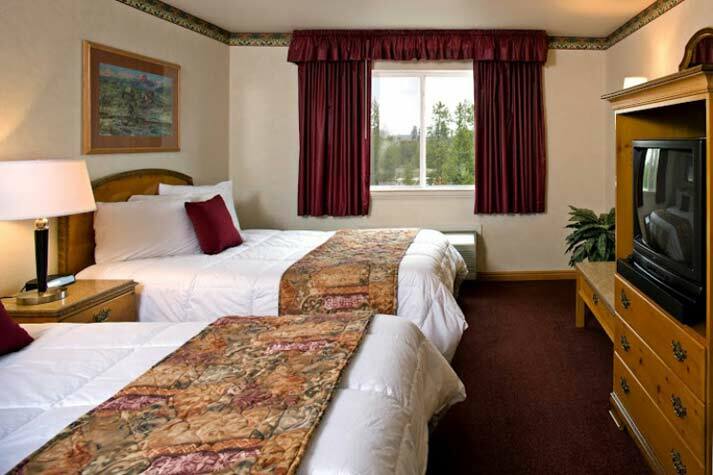 West Yellowstone offers lodging, meeting facilities, amenities, activities, and friendly, helpful people who will make your meeting, convention, or special event both fun and memorable. Our natural surroundings offer exciting adventure or tranquil exploration. With the lure of the nation’s First National Park and the surrounding national forests, your group can experience an array of daily activities. Step into the natural wonders of Yellowstone National Park where you can enjoy fantastic geysers, exciting trails, and beauty beyond measure. Beautiful natural surroundings, exciting adventures, charming hospitality, modern facilities, and comfortable accommodations-all at the West Entrance to Yellowstone National Park. What else could you ask for in a meeting, convention, or special event location? 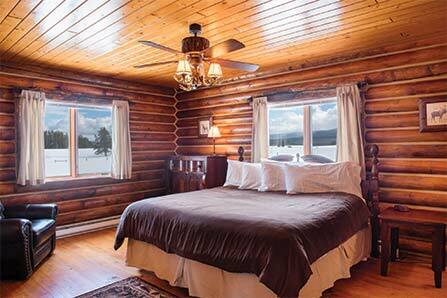 West Yellowstone offers exhilarating experiences for visitors of all ages. 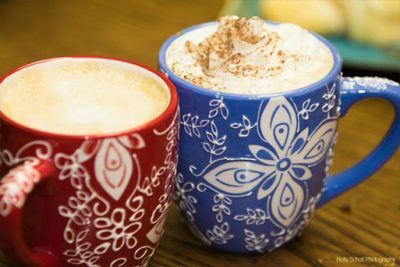 Our community is full of western history, shopping, cultural dining experiences, and unique activities. Our facilities provide modern amenities that are adaptable and flexible for conducting business or hosting a special occasion. We can host groups as small as 15 or as large as 1,800. To view all venues that West Yellowstone can offer to your group, scroll down to the Facilities section. 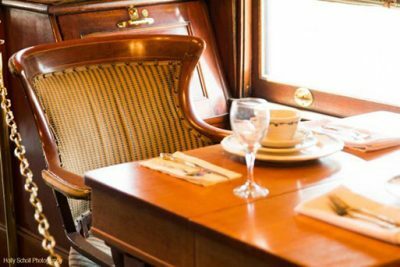 Exciting and unique attractions should come with dining options to match. 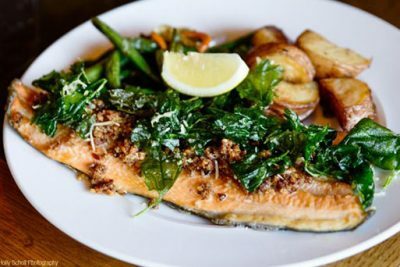 Whether you need your event catered, are looking for a picnic lunch as you are out exploring, or want a fine dining experience in the evening, West Yellowstone is full of delightful restaurants to dine at or scenic spots to take in while you eat out and about. 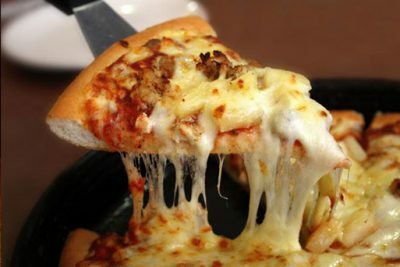 View a complete list of dining experiences. Check out the many wildlife exhibits and enclosures including wolves, grizzlies, otters, ground squirrels and birds of prey. View group information and rates. Take a ride on an old-fashioned, fringe-topped surrey for an old-time western BBQ, an experience sure to please anyone in your group. 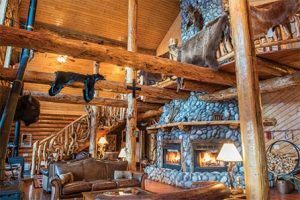 Transport your group to another time in the west when mail arrived by dogsled and transportation into Yellowstone National Park was only by stagecoach. 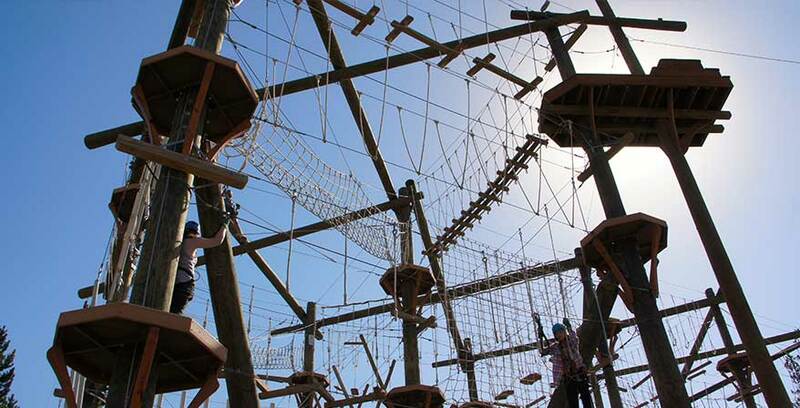 Fly on a zipline or challenge yourself on a ropes course. Different levels from beginner to experienced are available. 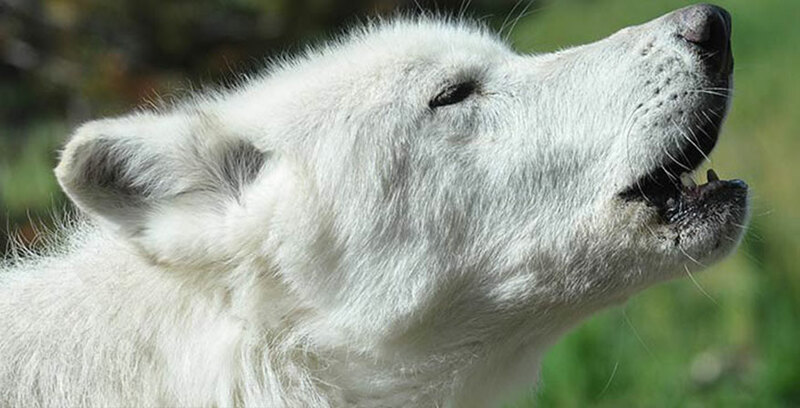 Looking for the ultimate Yellowstone experience? Let a local guide provide your group with an insider perspective. 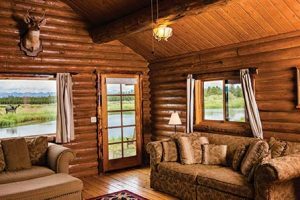 Warm season tours include fly-fishing beautiful blue ribbon streams and lakes, bike riding on countless trails, guided interpretational hikes, and horseback riding in the stunning Yellowstone Country forests. Guided group options with transportation are available in Yellowstone National Park, or step on guides are available with your own transportation. View more information on summer tours. 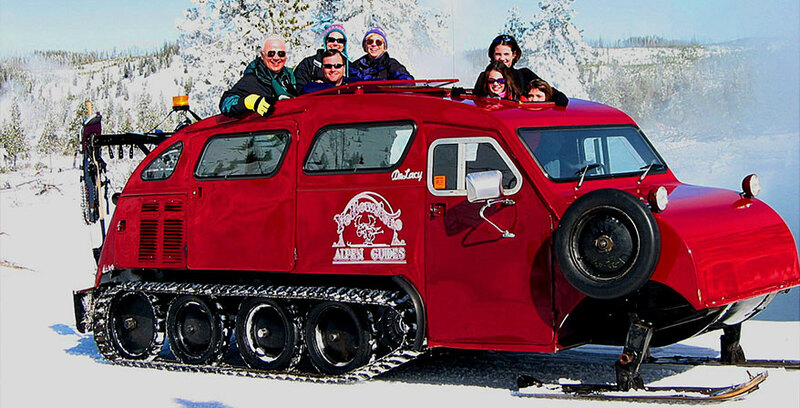 West Yellowstone offers over-the-snow group tours such as snowmobiling, snowcoach, guided cross-country skiing, and snowshoeing excursions. Try your hand at ice fishing for beautiful trout on a nearby lake or take a dogsled ride in the evening at sunset. Guided group options with transportation are available in Yellowstone National Park, or step on guides are available with your own transportation. View more information on winter tours. West Yellowstone Airport is conveniently located 3 miles from West Yellowstone and 4 miles from the West Entrance to Yellowstone National Park. View rental car and ground transportation information. 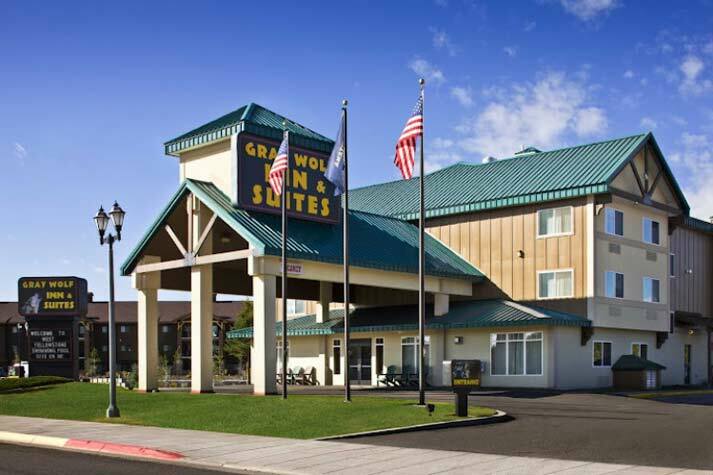 West Yellowstone Montana is small mountain community where you can safely walk or bicycle to restaurants, bars, shops, services and attractions from where you are staying. Limited taxi service is also available. Maps of West Yellowstone are available at the Visitor Center (the corner of Canyon Street and Yellowstone Avenue) or from many businesses. If you are just passing through, there are parking areas located along streets and in the interior of most city blocks. Just turn into an alley (watch for the brown parking signs at alley intersections) and park in the open lots. These parking areas can accommodate larger vehicles and RVs. 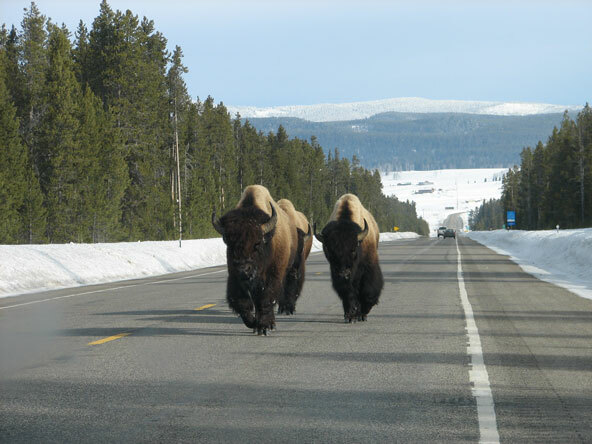 Additional parking is available along Boundary Street (easternmost street in West Yellowstone) or at the West Yellowstone Visitor Center just before entering/exiting the west entrance to Yellowstone Park. 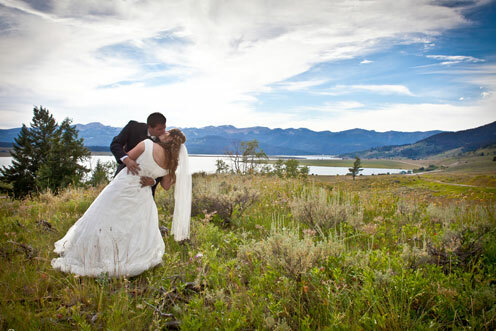 With stunning scenery in every direction, why wouldn’t you want your wedding in West Yellowstone? 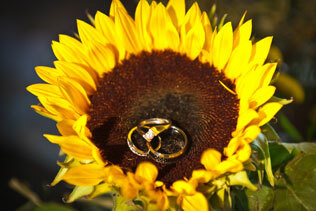 Any wedding planner will find that West Yellowstone has the right stuff. 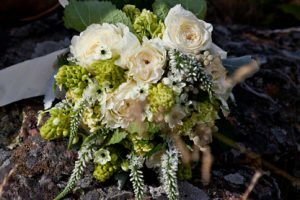 Fabulous locations, fine caterers, creative florist, scrumptious bakeries, expert photographers and someone to conduct the ceremony can all be found right here. 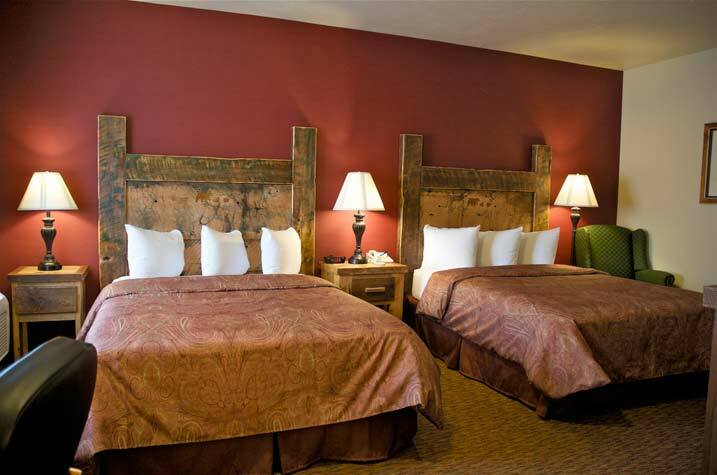 Explore Lodging in West Yellowstone. Our facilities provide modern amenities for conducting business or hosting a special occasion that are adaptable and flexible. We can host groups as small as 15 or as large as 1,800. We have our own seasonal airport for travel during the summer months. 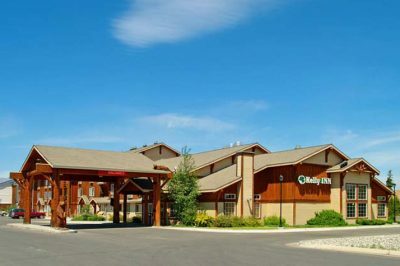 Or fly into Bozeman or Idaho Falls, both of which offer the opportunity for a short and beautiful drive. 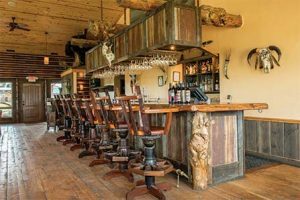 With stunning mountain vistas and a river running through the guest ranch, the Bar N Ranch is able to host West Yellowstone weddings and events, large or small. 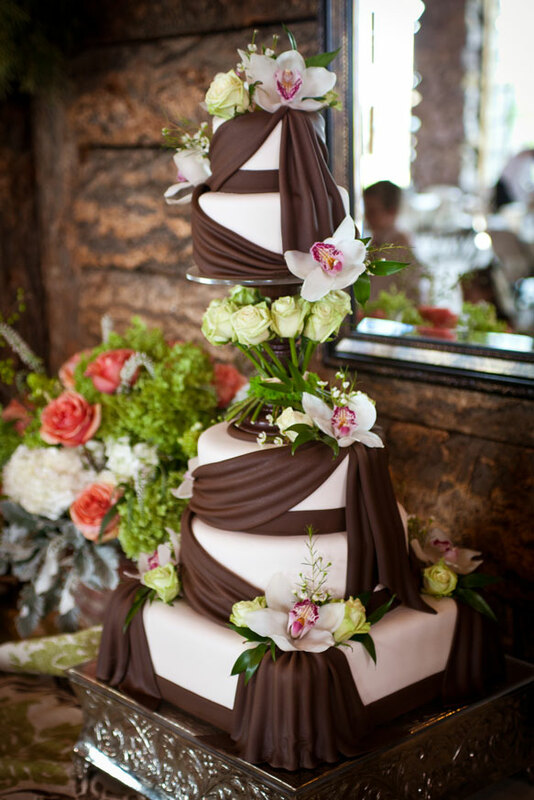 There is a beautiful spot for a wedding ceremony on the bank of the river, with incredible mountain views beyond. 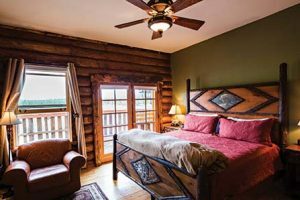 We also have our main lodge and cabins available for lodging. 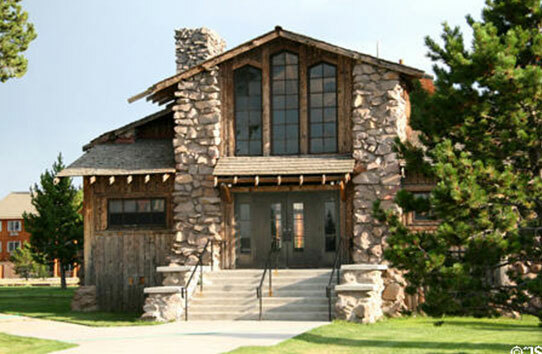 The Historical Union Pacific Dining Lodge is a beautiful building with timber and rock construction from the 1920’s. This was the building where visitors arriving to Yellowstone National Park by train were fed up to 1,000 meals a day. 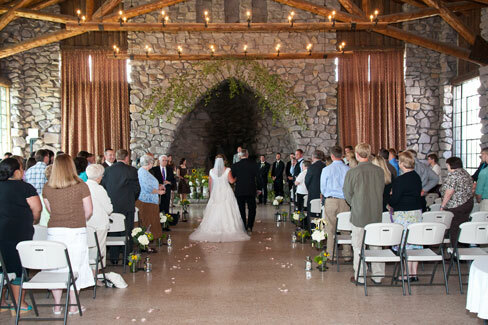 Beautiful windows and expansive rock fireplaces make this venue a grand show-stopper. 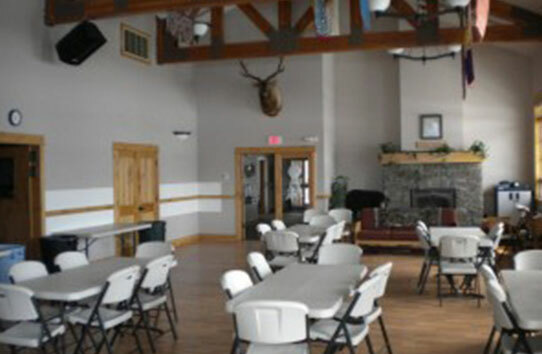 On-site amenities include kitchen facilities and equipment, tables, chairs, and a built-in bar. 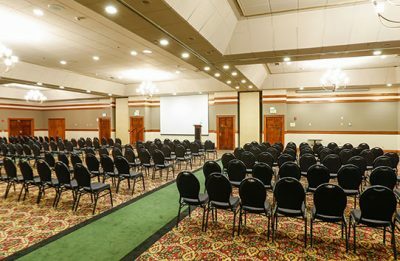 The Holiday Inn Conference Center offers two large banquet halls and an additional Exhibition Hall with a total of 10,000square feet of space. 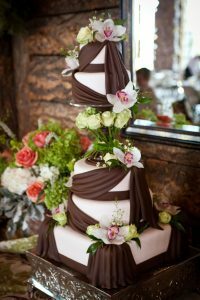 Special features include beautiful wood trim details throughout, chandeliers, and the ability to accommodate an array of events. 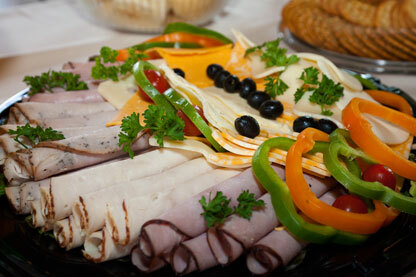 Catering services are available with an on-site bar and restaurant. The property also features its very own railroad train car. 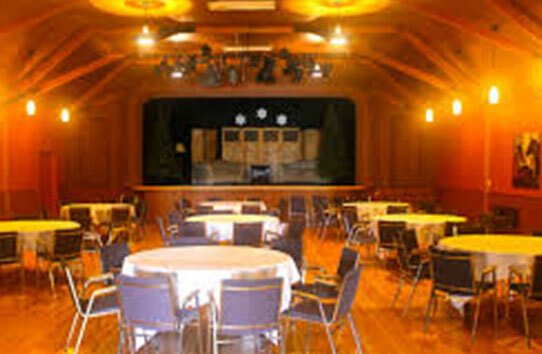 This beautiful venue is located within the Madison Crossing Building, which was once the West Yellowstone School that housed grades K-12 from 1918-1993. 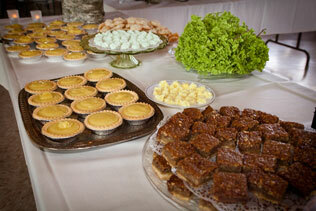 With on-site catering services available, this venue can easily accommodate up to 150 people. Amenities include tables and chairs, a 350 square-foot stage for theatre and musical presentations, and a projector and pulldown screen for viewing presentations. The Yellowstone IMAX Theatre can be found just on the outside of the Yellowstone National Park West Entrance. This venue can seat up to 348 in the giant screen theatre, which is six stories tall. On-site, this building has Digital surround sound, the latest viewing projection system, CD/PowerPoint capabilities, an extensive gift shop, and a snack bar. Availability is dependent on time of year. The Rendezvous Trailhead Building is a great small building that can be used for outdoor events, races, and small meetings and conferences. 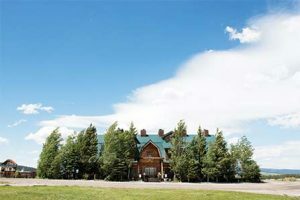 The building sits at the edge of the famous Rendezvous Trails that are used year-round for biking, hiking, and cross-country skiing. Outdoor restrooms and indoor sink are available amenities. 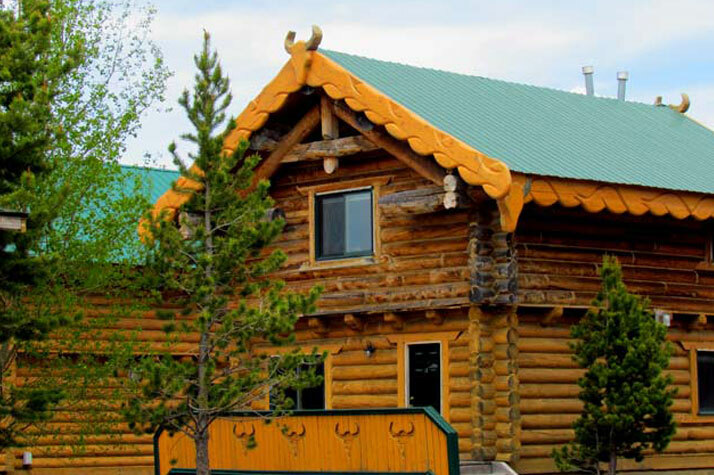 Three Bear Lodge is a log and rock constructed facility that has two on-site conference spaces. 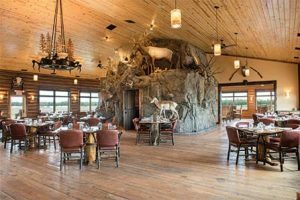 With an on-site restaurant/bar, this hotel can host an array of events. 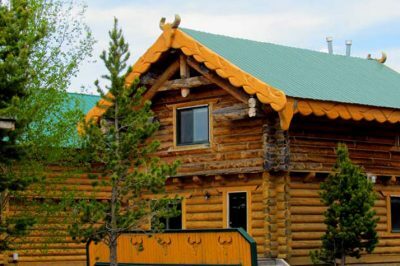 This newly constructed lodge will accommodate small and large groups up to 125 people. 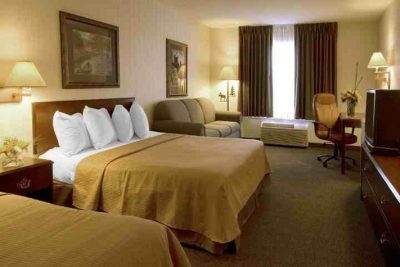 Amenities include TV and LCD capabilities, chairs, and tables. 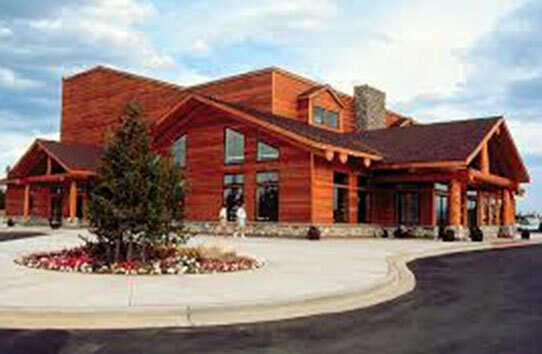 The Yellowstone Lodge is a beautifully constructed timber hotel located on the south end of West Yellowstone, Montana. 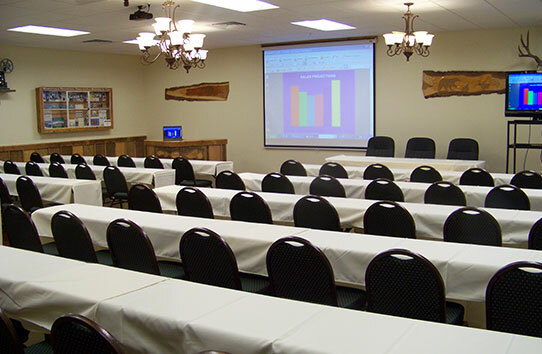 This meeting room venue is open year-round and can accommodate a multitude of events. 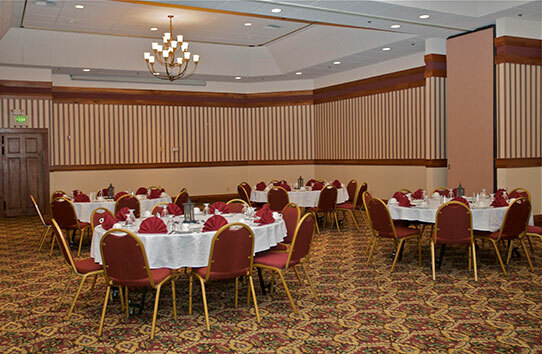 Parties, small receptions, meetings, and conferences are welcomed. 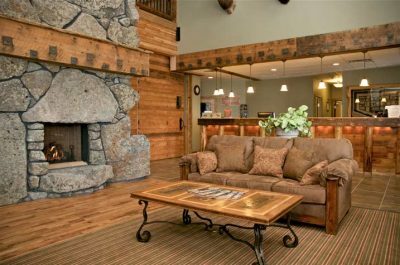 Amenities include tables, chairs, and a lower level elevator is available.